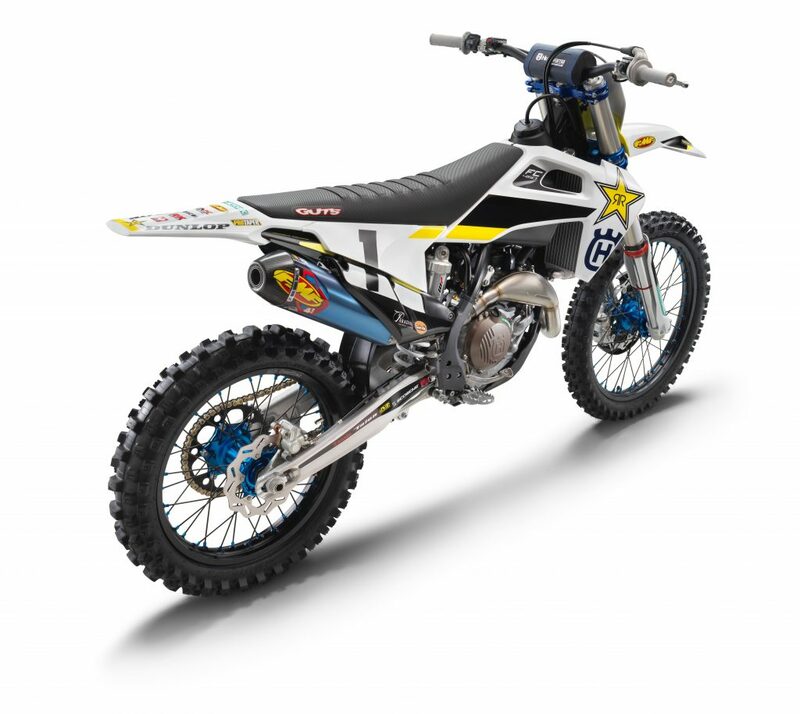 Husqvarna Motorcycles Australia will release the striking 2019 Husqvarna FC 450 Rockstar Edition locally this April, based upon the title-winning factory race bike of Rockstar Energy Husqvarna Factory Racing’s current AMA Supercross Champion Jason Anderson. The pioneering new Husqvarna FC 450 Rockstar Edition has been developed using experience and data gained through the iconic Swedish brand’s factory racing program, this 2019 model forming the basis of what Anderson and teammate Zach Osborne are competing aboard this season. 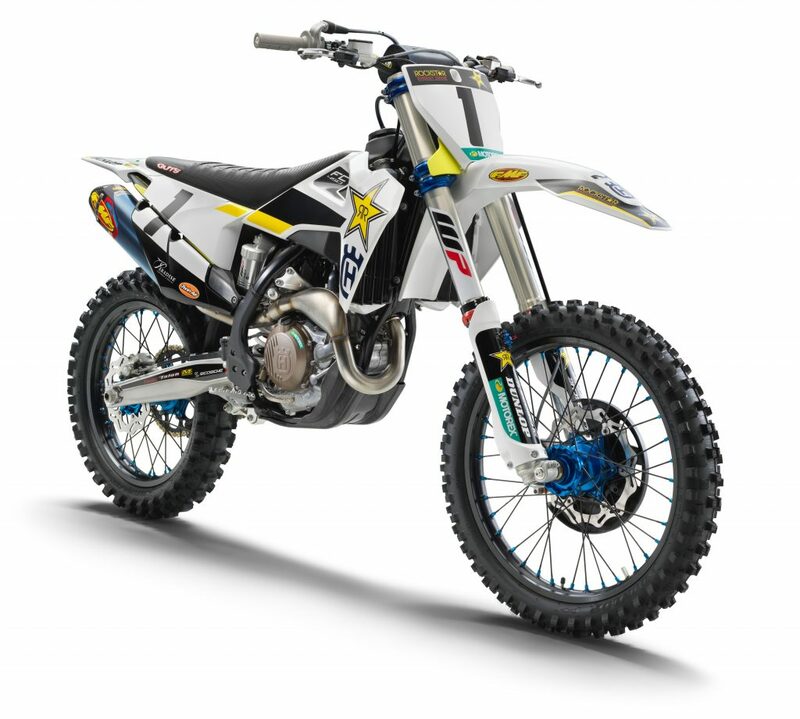 Development carried out by Husqvarna Motorcycles engineers has resulted in the sharpest FC 450 yet, bolstered by technological advancements and class-leading components that add to the up-spec platform which pays tribute to the manufacturer’s international partnership with Rockstar Energy Drink. 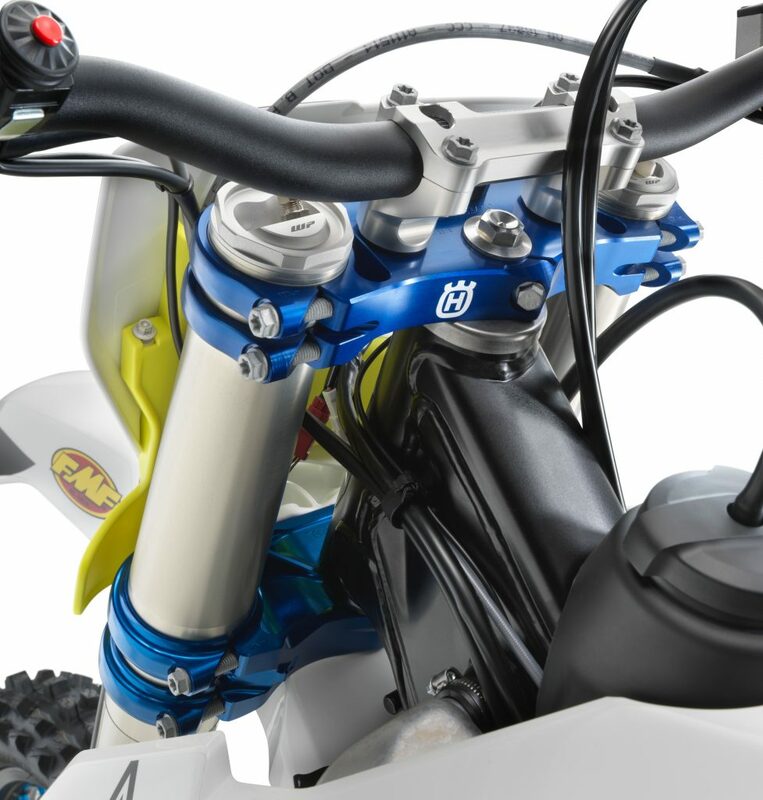 Featuring distinctive bodywork and graphics to provide an elusive factory appearance, the 2019 Husqvarna FC 450 Rockstar Edition SOHC engine package is enhanced by a new CP forged box-in-box piston and Pankl con-rod. Collectively resulting in reduced friction, these provide maximum performance and reliability. An FMF Racing Factory 4.1 RCT silencer has been fitted, including a blue anodised titanium body and carbon end-cap. It’s shorter than the base production model’s exhaust, aiding to mass centralisation and reducing chances of damage. CNC-machined triple clamps are made from high-grade aluminium, featuring optimally-tuned steering stem stiffness and perfected fork tube alignment to increase responsiveness. The offset can be easily adjusted between 20mm or 22mm. In addition, the hydro-formed frame has premium black powder-coating, as well as anodised D.I.D DirtStar rims and machined hubs that offer maximum weight savings and strength. The 2019 Husqvarna FC 450 Rockstar Edition also has a carbon-fibre reinforced engine protector, mechanical hole-shot device and a front brake disc protector fitted as standard. 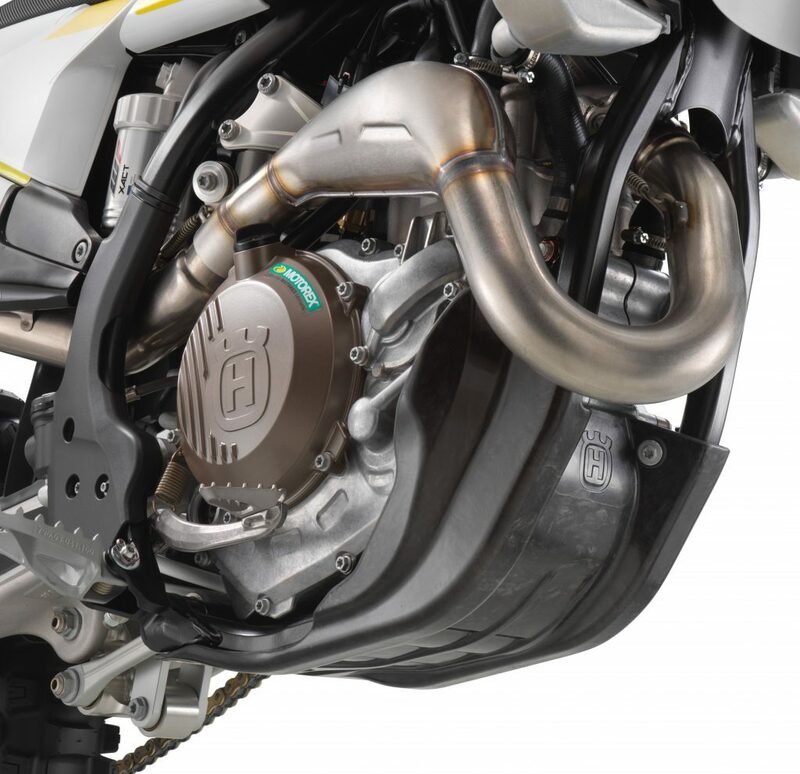 These features come on top of the usual Husqvarna FC 450 features, which include a composite two-piece sub-frame design, fully-adjustable 48mm WP split air fork, WP rear shock absorber, ProTaper handlebars, precise Magura hydraulic clutch system, selectable map switch that activates launch and traction control, electric starter powered by a lightweight Li-Ion 2.0 Ah battery and the potent Brembo braking package. The 2019 Husqvarna FC 450 Rockstar Edition will be available from April through the Husqvarna Motorcycles Australia dealer network. Visit the official website at www.husqvarna-motorcycles.com/au for additional information.